What if Your Coach Doesn't Get Along with Your Young Athlete? If a young athlete feels that the coach doesn’t like him or her, that young athlete’s confidence can take a serious hit. Confusing questions can start to dominate an athlete’s thoughts, feelings, and emotions. For some, it’s a situation that can seem impossible to deal with. What am I doing wrong? Should I talk to the coach about my feelings? Should I tell my parents about the situation? These are all questions that can be difficult to answer whenever a young athlete finds him or herself in a difficult coaching situation. Luckily, there are ways to make things better! Here are three guiding principles for dealing with a coach that doesn’t seem to get along with your young athlete. Even if your young athlete is certain that their coach doesn’t like them, this isn’t always the case. Sometimes athletes can trick themselves into thinking things that aren’t true. But regardless of the validity of those feelings, an athlete can always control his or her attitude and effort. Your young athlete can always work hard in practice, can always be a great teammate, and can always decide what kind of attitude to take into each game and practice. This is one of the hardest lessons for parents to teach because parents often just want to fix the problem. Even if the coach really doesn’t like your child, you should still reinforce the virtues of hard work, consistency and adaptability in tough circumstances. Focusing the majority of your parental energy in this direction will give your child a valuable framework for dealing with problems they face in the future. If approached in the right way, it can never hurt to have a respectful conversation with the coach. The goal of this conversation should not be to criticize or condemn but to listen and learn. Approach the talk with the idea of getting on the same page with the coach. When you take this route, you might discover that the whole matter was a simple case of miscommunication. Furthermore, this simple conversation shows that you only have your young athlete’s best interests at heart. As you probably know, some parents can be kind of unreasonable when it comes to requests from the coach. But since you’re willing to have a two-way conversation, you’re showing that you’re not trying to cause an argument. You’re just trying to help! If you’re unable to make any progress with a particular coach, it’s absolutely alright to weigh your young athlete’s options. Work together to decide what the best next step will be. You might ask some parents about their experiences with other coaches. 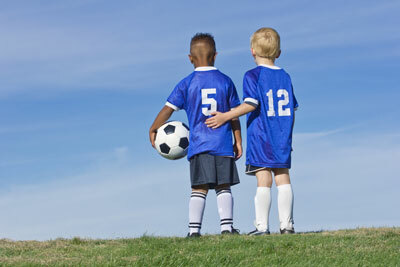 Ask your young athlete to ask their friends about other coaches. Or maybe even ask to meet with another coach, just to make sure there are no repeat situations. However, be sure that you aren’t making a hasty decision. Many people out there will make a decision too quickly rather than too late. Don’t be hasty. Err on the side of finishing out the season and finding a different coach the following year. This will give your young athlete (and yourself) some time to gain perspective and some space to reevaluate the situation. All in all, this is a tough situation for any athlete at any level. And, unfortunately, it’s something your young athlete might have to deal with. But with the right attitude, you can make something positive out of the situation for your young athlete.